Madoff Whistleblower: SEC Failed To Do The Math Harry Markopolos spent nearly a decade on Bernard Madoff's trail. He says his efforts to alert securities regulators about Madoff's schemes were repeatedly ignored. In a new book, he details how the Securities and Exchange Commission still lacks the tools for the job. On March 12, 2009, Bernard Madoff pleaded guilty to operating the biggest Ponzi scheme in history. It was redemption of a sort for Harry Markopolos, a financial analyst-turned-investigator who spent nearly a decade on Madoff's trail — and whose warnings were largely ignored by securities regulators. 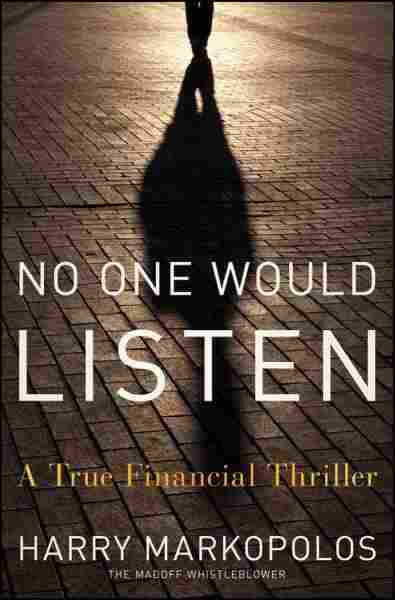 Markopolos writes about his crusade in No One Would Listen: A True Financial Thriller. It's a chronicle of what Markopolos and many other critics see as ineptitude at the Securities and Exchange Commission. Madoff didn't leave any footprints in the market because he never traded stock, Markopolos explains: "It was all made up and his story was so fanciful and far-fetched that the SEC should have seen through it immediately. And they didn't." The SEC's Office Of Investigations issued a report last August on why they overlooked Bernard Madoff and Markopolos' tips for so long. Markopolos tells NPR's Steve Inskeep that one of the problems with the SEC was "regional turf rivalries" between the Boston and New York offices that resulted in a lack of communication between the two: "They got along about as well as the Yankees and Red Sox did, unfortunately." He also says the SEC is staffed by lawyers who don't understand the mathematically complex financial products that are traded on the markets these days. Finally, Markopolos describes poor investigative ability at the SEC. One staffer at the agency wouldn't follow up on his tips because he wasn't an employee of Madoff's, and she therefore didn't consider Markopolos an insider. "That same person in her deposition said that the only way I would qualify as a whistleblower was if I came in with a tape recording of Bernie Madoff admitting he was running a Ponzi scheme," Markopolos says. "Obviously I didn't have that tape and if I did I wouldn't have needed the SEC." Markopolos realized Madoff was running a Ponzi scheme nearly a decade ago, when he was working as an options trader at a Boston financial firm that was losing customers to Madoff's more profitable strategy. His boss asked him to replicate Madoff's strategy, but Markopolos couldn't, because it wasn't real. "It's hard to compete with a Ponzi scammer, because all he has to do is type his performance returns into the computer," Markopolos says. "He doesn't have to manage his returns according to the market, whereas I had to." 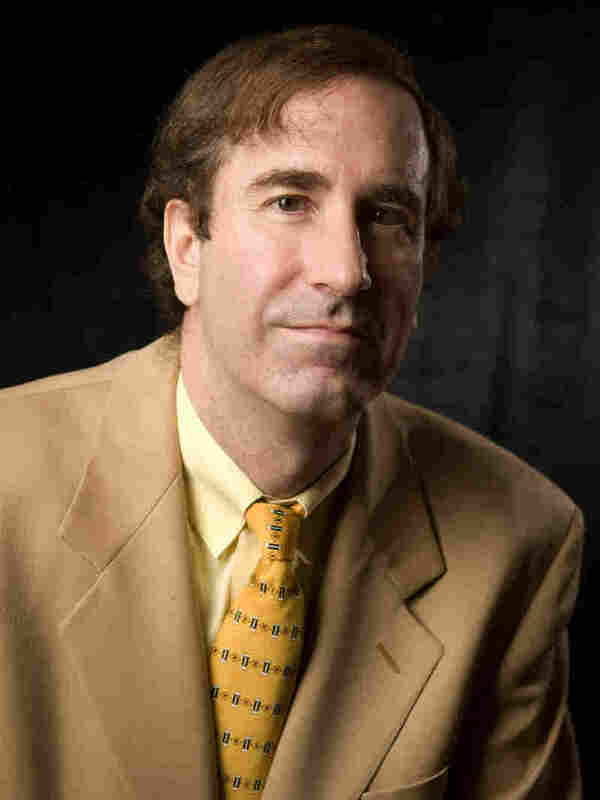 Markopolos and his team analyzed publicly available information about Madoff's network of "feeder funds" from offshore companies. The team pretended they wanted to invest in these funds. Markopolos says he knew he was dealing with a fraud within minutes of examining the materials. "I read his strategy statement, and it was so poorly put together," Markopolos recalls. "His strategy as depicted would have trouble beating a zero return, and his performance chart went up at a 45-degree line: that line doesn't exist in finance, it only exists in geometry classes." But, Markopolos says, his bosses were taken in by Madoff's reputation. "They bought into the story. They bought into his patina of respectability that he was a market maker — one of the largest on the street," Markopolos recalls. "They thought he was a Wall Street titan, and they had no reason to doubt him. But they didn't know that math like I did." Markopolos offers a ruthless depiction of Madoff, claiming he was taking money from organized crime. He says Madoff would have had him killed had he known the financial analyst was on his trail rather than let organized crime groups find out their money was going into a Ponzi scheme. Despite spending a decade nearly obsessed by Madoff, Markopolos has never met the man and says he doesn't want to. "I think he is a pathological liar," Markopolos says. "Why would I want to sit there and be lied to?" On the morning of December 11, 2008, a New York real estate developer on a JetBlue flight from New York to Los Angeles was watching CNBC on the small seat-back television. A crawl across the bottom of the screen reported that Bernard Madoff, a legendary Wall Street figure and the former chairman of NASDAQ had been arrested for running the largest Ponzi scheme in history. The developer sat silently for several seconds, absorbing that news. No, that couldn't be right, he thought, but the message streamed across the screen again. Turning to his wife, he said that he knew that she wasn't going to believe what he was about to tell her, but apparently Bernie Madoff was a crook and the millions of dollars that they had invested with him were lost. He was right — she didn't believe him. Instead, she waved off the thought. "That's not possible," she said, and returned to the magazine she was reading. The stunned developer stood up and walked to the rear of the plane, where the flight attendants had gathered in the galley. "Excuse me," he said politely, "but I'm going to be leaving now. So would you please open the door for me? And don't worry — I won't need a parachute." At about 5:15 that December afternoon, I was at the local dojo in my small New England town watching my five-year-old twin boys trying to master the basic movements of karate. It had been a gloomy day. Rain continued intermittently, and there was a storm in the air. I noticed there were several voice mails on my cell phone. That's curious, I thought; I hadn't felt it vibrate. I stepped into the foyer to retrieve the messages. The first one was from a good friend named Dave Henry, who was managing a considerable amount of money as chief investment officer of DKH Investments in Boston. "Harry," his message said clearly, "Madoff is in federal custody for running a Ponzi scheme. He's under arrest in New York. Call me." My heart started racing. The second message was also from a close friend, Andre Mehta, a super-quant who is a managing director of alternative investments at Cambridge Associates, a consultant to pension plans and endowments. I could hear the excitement in Andre's voice as he said, "You were right. The news is hitting. Madoff's under arrest. It looks like he was running a huge Ponzi scheme. It's all over Bloomberg. Call me and I'll read it to you. Congratulations." I was staggered. For several years I'd been living under a death sentence, terrified that my pursuit of Madoff would put my family and me in jeopardy. Billions of dollars were at stake, and apparently some of that money belonged to the Russian mafia and the drug cartels — people who would kill to protect their investments. And I knew all about Peter Scannell, a Boston whistleblower who had been beaten nearly to death with a brick simply for complaining about a million-dollar market-timing scam. So I wouldn't start my car without first checking under the chassis and in the wheel wells. At night I walked away from shadows and I slept with a loaded gun nearby; and suddenly, instantly and unexpectedly, it was over. Finally, it was over. They'd gotten Madoff. I raised my fist high in the air and screamed to myself, "Yes!" My family was safe. Then I collapsed over a wooden railing.I had to grab hold of it to prevent myself from falling. I could barely breathe. In less time than the snap of my fingers I had gone from being supercharged with energy to being completely drained. The first thing I wanted to do was return those calls. I needed to know every detail. It was only when I tried to punch in the numbers that I discovered how badly my hand was shaking. I called Dave back and he told me that the media was reporting that Bernie Madoff had confessed to his two sons that his multibillion-dollar investment firm was a complete fraud. There were no investments, he had told them; there never had been. Instead, for more than two decades, he had been running the largest Ponzi scheme in history. His sons had immediately informed the Federal Bureau of Investigation (FBI), and agents had shown up at Madoff's apartment early that morning and arrested him. They'd taken him out in handcuffs. It looked like many thousands of people had lost billions of dollars. It was exactly as I had warned the government of the United States approximately $55 billion earlier. And as I stood in the lobby of that dojo, my sense of relief was replaced by a new concern. The piles of documents I had in my possession would destroy reputations, end careers, and perhaps even bring down the entire Securities and Exchange Commission (SEC), the government's Wall Street watchdog—unless, of course, the government got to those documents before I could get them published. I grabbed my kids and raced home. My name is Harry Markopolos. It's Greek. I'm a Chartered Financial Analyst and Certified Fraud Examiner, which makes me a proud Greek geek. And this, then, is the complete story of how my team failed to stop the greatest financial crime in history, Bernie Madoff's Ponzi scheme. For the previous nine years I had been working secretly with three highly motivated men who worked in various positions in the financial industry to bring the Bernie Madoff fraud to the attention of the SEC. We had invested countless hours and risked our lives, and had saved no one — although eventually, after Madoff's collapse, we would succeed in exposing the SEC as one of this nation's most incompetent financial regulators. 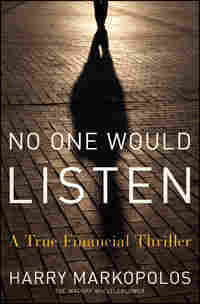 Excerpted with permission from the publisher, John Wiley & Sons, from No One Would Listen, by Harry Markopolos. Copyright © 2010 by Fox Hounds, LLC.